President Andrew T. Ford of Wabash College is pleased to announce the appointment of Nadine (Dena) Pence as third director of the Wabash Center for Teaching and Learning in Theology and Religion, beginning January 1, 2007. Dr. Pence is currently professor of theology at Bethany Theological Seminary in Richmond, Ind., where she has taught since 1991; has served as acting dean, and has been director of the master of arts in theology program since 1995. She is also executive director of the Council of Societies for the Study of Religion (CSSR), the umbrella organization for professional societies among those who teach in the field of religion in college, universities, and seminaries throughout the United States and Canada. Before becoming executive director of CSSR, Dr. Pence served as editorial chair of the Religious Studies Review editorial board; she continues to be that journal’s area editor for the Arts, Literature, Culture and Religion section. CSSR publishes three periodicals, Religious Studies Review, The CSSR Bulletin, and the annual Directory of Departments and Programs of Religious Studies in North America. Dr. Pence is a lifelong member of the Church of the Brethren. She received her bachelor’s degree from Manchester College, her master of divinity degree from Bethany Seminary, and her Ph.D. in theology from the University of Chicago. 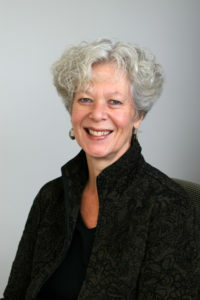 She has written and spoken widely on the relation of theology and media, and is co-editor of “Hope Deferred”: Theological Reflections on Reproductive Loss, published by Pilgrim Press in 2005. The Wabash Center for Teaching and Learning in Theology and Religion recently received an $8 million grant from Lilly Endowment Inc. to support the next three years of its work encouraging the improvement of teaching and learning in seminaries, university divinity schools, and college and university religion departments throughout North America. Although founded only 10 years ago, under the outstanding leadership of its first two directors, Raymond. B. Williams and Lucinda Huffaker, the Wabash Center has already established an important national reputation. More than 700 faculty members, representing schools from Harvard and Yale in New England to Fuller and Claremont in southern California, have participated in its workshops and conferences. The Center publishes Teaching Theology and Religion, an internationally recognized journal, and hosts a widely used website for source material in theology, religion, and teaching. It provides grants for seminaries, colleges, and universities interested in improving the quality of their teaching. “Dr. Pence is a superb choice as director of the Wabash Center,” said Craig Dykstra, senior vice president for religion at Lilly Endowment. “Her skills as an educator and her enthusiasm for teaching, combined with her leadership among scholars of religion and commitment to theological education, make us confident that the Center influence will continue to flourish under her leadership.” The Wabash Center plays a central role in the Theological Teaching Initiative of the Indianapolis-based Lilly Endowment.